It's now possible to recycle your contact lenses, including the packets and foil lids, with Highbury Optometrists. In New Zealand, contact lens recycling was instigated by the contact lens manufacturer Bausch & Lomb. 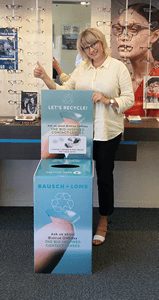 Bausch & Lomb have generously agreed to recycle all contact lens brands and types through their recycling program. So you can return any contact lenses that you buy from us for recycling. The recycling process is handled in NZ by TerraCycle. The lenses and packets are compressed and turned into new products such as plastic chairs. 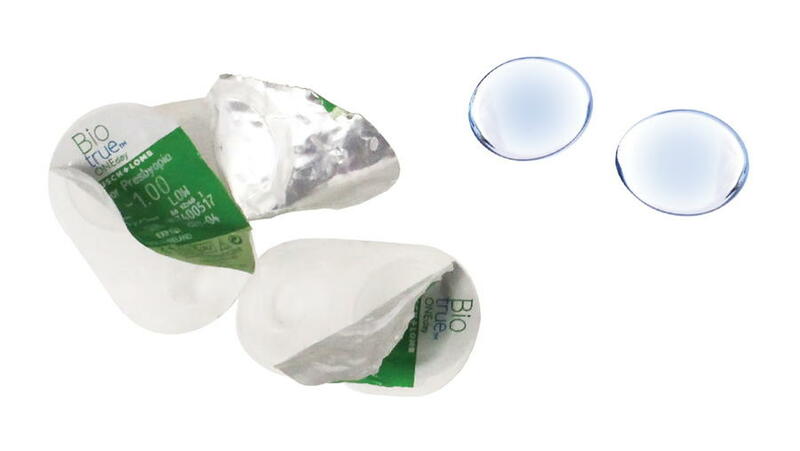 Simply save up your contact lenses, blister packs with foil lids and drop them into our contact lens recycle bin when you next visit our practice. You can even post them to us if that's more convenient. There is no charge to recycle your contact lenses, and all brands, used and un-used, will be accepted. Do not throw your contact lenses down the drain! If you dispose of contact lenses down the drain these can end up as microplastic pollution in the environment. Contact lenses are not handled well by our sewage treatment systems. Studies have found that microbes in the sewage system can break down contact lenses into mircoplastic particles, which can be eaten by fish and other animals and ultimately enter the human food chain.